Krystle was born in Downey, California, but she was raised in Paramount (another local girl!). She graduated from Los Alamitos High School and, following in the footsteps of her mentors, went to Cerritos College. As part of the Dental Assisting Program, she graduated at the top of her class and received one of the top honors during graduation, as well as the Student of the Year award. Upon graduating she immediately passed the rigorous RDA exam and became a Registered Dental Assistant with an Associate's degree in Dental Assisting, Natural Science and Social & Behavioral Science. Now she sits on the Cerritos College Advisory Board along with Dr. Martinez. She recently graduated in May 2016 with her Bachelor of Science Degree in Health Care Administration from California State University, Long Beach. During graduation she was recognized as the Outstanding Graduate being at the top 0.1% of her class. 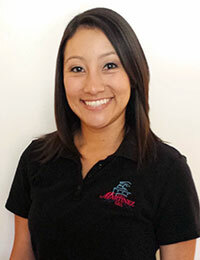 You will enjoy her smile, and her passion for dentistry shows with each caring moment.